Starting in August, 2015 every Sherline headstock now includes the holes to add an optional hard stop. 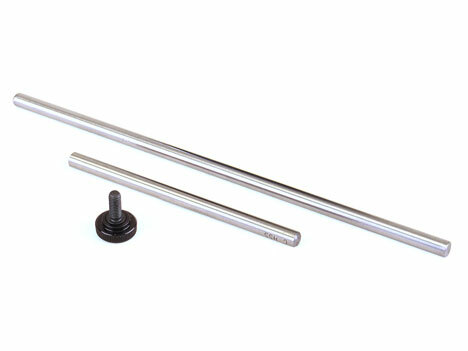 The hard stop kit, P/N 40116 includes two hardened steel rods and a knurled thumbscrew lock. The .242″ diameter steel rods are 4″ and 8″ long. A hole through the headstock base allows the hard stop rod to be set to contact the lathe table, providing a hard stop for the Z axis during turning operations. 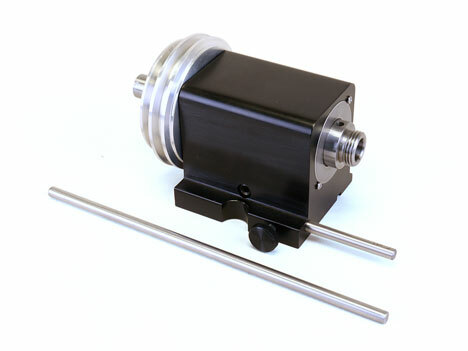 For those who have an older Sherline lathe and want to add the hard stop, the kit includes instructions with dimensions on where your headstock case will need to be drilled to accept the rod and locking thumbscrew. Complete instructions are included. If you don’t want to or don’t have the facilities to drill the headstock, it can be returned to Sherline and we will drill the holes for you for an additional charge. Call for pricing and a RMA # before sending your headstock.